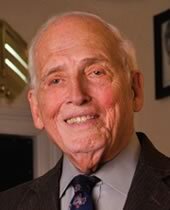 On November 25, 2008, at the age of 87, René Brunet introduced the first fully digital movie theater to the metro New Orleans area. With an investment of more than a half million dollars in state-of-the-art technology, René established the historic Prytania Theatre as one of the most advanced movie houses in America. Until René took over the theater in 1996, the Prytania’s future seemed dim. Single-screen, neighborhood theaters were considered relics of the past—quaint remnants of times before television, DVDs and streaming video. Unable to fill their seats, community movie houses throughout the country succumbed to economic reality. Many were demolished or carved into multi-screen “mini-plexes.” But René Brunet defied convention, and the Prytania—the only single-screen theater still operating in all of Louisiana—continues to attract sell-out crowds. What gave René Brunet the confidence to invest in a neighborhood, single-screen environment that others consider extinct? René will tell you it comes from over 80 years of going to the movies. An avid movie-goer since seeing his first silent film, René recognized the power of film to captivate and transport us to another world. As the medium evolved over the decades, René tracked audience patterns and trends. What did they want? What brought them out to the movies? René came to understand that success in this business is not just about showing the latest blockbuster; success comes from building a first-rate experience—from the moment they are greeted in the lobby to the time they head back home. René’s life experience taught him that while technology and tastes may change, a high-quality cinematic experience will always be in demand. And if the Prytania Theatre’s ongoing popularity is any indication, René Brunet is quite a learned man. René Brunet… Peoples Health Champion.